Ketu is the primary indicator of spirituality in astrology. The kind of spirituality, which Ketu indicates is the intense form of spirituality, not like a kind of ritualistic. 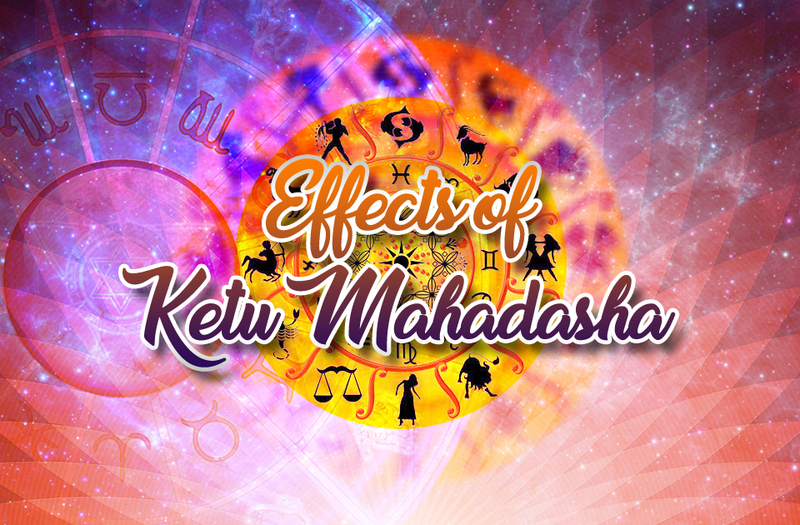 Ketu is known as the tail of demon in astrology and Ketu Mahadasa will last for 7 years. This spirituality will be very transformative. Transformations are actually very powerful and stressful. You may have emotional issues. Basically, during any Mahadasa, the house which the planet placed will be in the main focus. This main focus will continue throughout the dasha. In Ketu dasha also, this rule applies, but there will be a huge focus on spirituality as well. Ketu is actually a headless planet. So, there are great chances for you to make wrong decisions and thus landing in different troubles. If you are a person who is going through Mercury dasha, you should understand that, Ketu dasha is waiting for you. Once when you reach the end phase of Mercury dasha, you should understand that the coming days, you are going to transform. 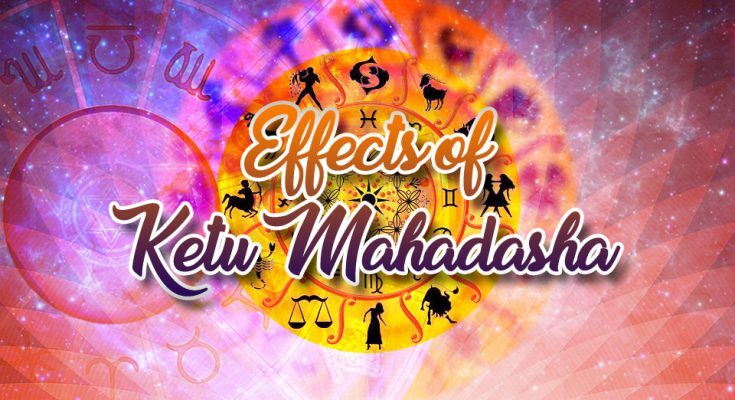 There is a general assumption that in certain houses Ketu will give you best dasha. These are just misguiding information. If it is Ketu dasha then you should prefer to move towards your spiritual ashram. Married people will have to be cautious when one of the couples moves through Ketu dasha. Since Ketu indicates spirituality, it may not greatly favour an easy marital relationship. Please try to be compassionate with each other. Once when Ketu dasha gets over, your Venus dasha will come. That will be a good time period if Venus is placed well. During Ketu dasha, you must start a spiritual activity. Learning spiritual texts under a Guru will be surely soothing to you during Ketu dasha. The world has become very materialistic and people generally feel that they have walked with a crowd who madly follows the practices of heightened spirituality. We may forget the path of the spirituality is the ultimate force. 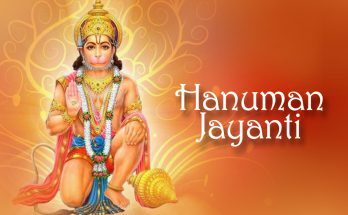 This Ketu dasha is a great opportunity to reconnect with the ultimate force which is the cause and reason for everything in the universe. Here is the beauty of Ketu dasha. This dasha is a great dasha to fulfil your righteous desires and wishes. If you are moving in a spiritual path, then you will see great blessings coming to you. Progress is sure when you may spirituality your mark. Despite your religious belief, you all are requested to follow spirituality. It should not be a ritualistic spirituality. You should have the godliness in your mind and body. This is the opportunity to amass that much of blessings for your future. If you are a person going through struggles during Ketu dasha, then go for a retrospect. What were your actions in the past and how you performed in the past? You will somewhere see unrighteous deeds from you. Then you should take an effort to correct those. Then you will see a lot of blessings in your life. Such a wonderful post. Thanks for sharing very helpful article. Every dasa has good and bad impacts and same as with Ketu Maha dasha. 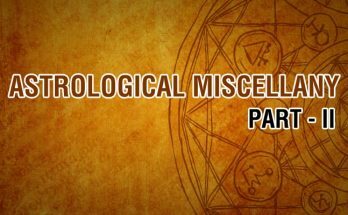 If no proper precautions taken with in time it may harm you so you should consult with astrology specialist to know its impact on your life and should take care according to his prescriptions. Nicely defined here.